A studio headshot portrait of American blues singer Mamie Smith, taken about 1923. In the third of a series produced by independent producer Ben Manilla and Media Mechanics, Weekend All Things Considered looks at recordings recently selected for the Library of Congress' prestigious honor. 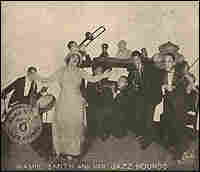 "Other recording companies decided to join in this new market..."
"Race records was a term that was used... from the 1920s to the 1940s... to describe recordings... directed expressly at the African-American record-buying public..."
A detail from a 1920s record cover shows Mamie Smith and members of the Jazz Hounds. 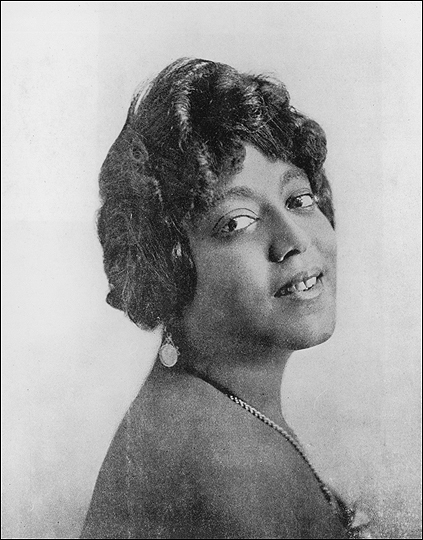 Mamie Smith was the first black vocalist to record the blues. The song was "Crazy Blues," and it became a hit. But it happened almost by accident. 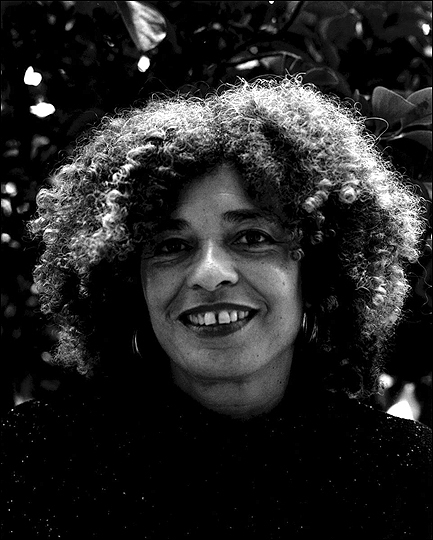 "In a sense it was happenstance that Mamie Smith acquired the opportunity to record 'Crazy Blues,'" says Angela Davis, the '60s activist who is now professor of history, consciousness and feminist studies at the University of California/Santa Cruz. 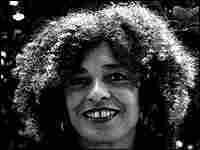 Until 1920, no black singer had been recorded doing a blues song. Sophie Tucker was scheduled for a recording session earlier in the year, but fell ill. Perry Bradford, who wrote "Crazy Blues," persuaded Okeh Records to use Smith instead. Smith was a versatile performer, but not a classic blues artist. "At the age of 10, she was on the stage dancing," says Michael Taft, who has the ungainly title of head of staff at the Archive of Folk Culture at the American Folklife Center at the Library of Congress. "She was a dancer and a singer and an actress. She performed in film in the '30s and '40s. She was an all-around entertainer." Bradford, the songwriter, "sold the concept to the record companies that black female vaudevillians could translate to blues and that there was money to be made," says Lawrence Cohn, author of the 1996 book Nothing But the Blues: The Music and the Musicians. And he was right about "Crazy Blues." It sold 10,000 recordings the first week and 75,000 within a month. "The recording of 'Crazy Blues' led the way for the professionalization of black music, for the black entertainment industry, and indeed for the immense popularity of black music today," Davis says. "There was a market there that had not been served," Taft says. 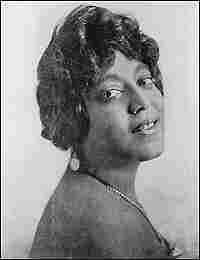 "Mamie Smith and her recording was like the opening shot. I think the black public was ready to start buying records, there was enough of a working class with money that were ready, willing and able to buy recordings that were coming out of their own culture." 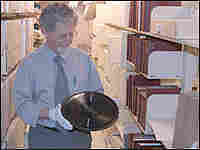 It's hard to overstate the impact of the recording, which is a prime reason it was added to the National Recording Registry. "We can't conceive of modern popular American music without these early blues performers and songs," Taft says. 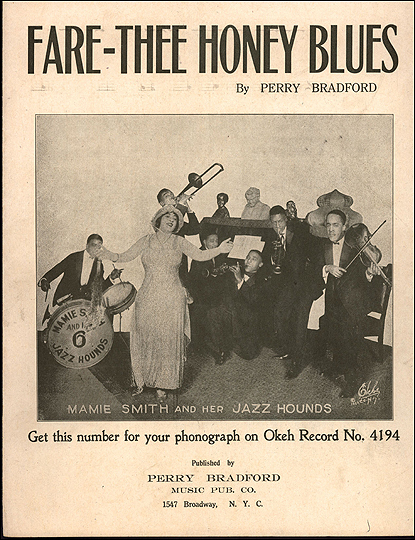 "And Mamie Smith was the first one to record this kind of music." "And now, of course, black music stands in for American musical culture," Davis says. "Not only within the country, but all over the world."